Pharmacists are highly trained healthcare professionals who have a deep understanding of medicines and daily contact with patients and consumers. This puts them in a unique position in terms of being able to maximise the benefits that patients get from their medicines – however, healthcare systems and pharmaceutical companies frequently overlook this potential. Pharmacists are especially well placed to help patients with multiple long-term conditions manage their health and medications, and pharmacist-led interventions have been shown to have a very significant impact on compliance and disease management in the community. 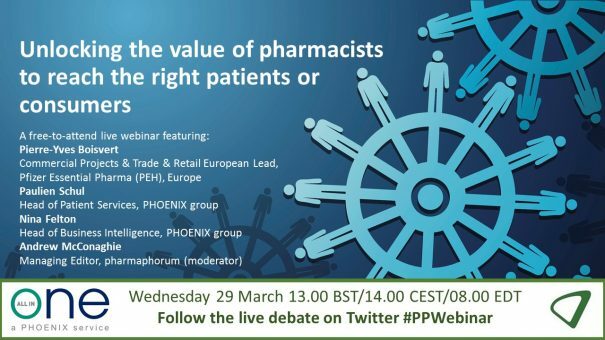 We present a webinar debate in which our expert panel discuss how pharmaceutical companies can work in collaboration with pharmacists in Europe to help patients make the most of their medicines, help generate data to prove the value of these interventions, and above all get the right medicine to the right patients and consumers. The live webinar took place on Wednesday 29 March at 13.00 BST/14.00 CEST/08.00 EDT. To watch the on demand version, please click here or on the button above/below. Pierre-Yves has led several Customer Centric projects and supported the implementation of Pfizer’s new customer-centric commercial model, namely in the Retail segment and working closely with BU Leads, in-market teams and relevant regional and global functions. Pierre-Yves has significant experience in optimising the Retail approach for PEH in other regions. Pierre-Yves joined Pfizer in 2000 through the Warner Lambert/Parke Davis merger, progressing across several positions ranging from Director of Operations & Sales Director in Canada, Training Director North America, Customer Business Unit head in the UK, Head of Field Force Effectiveness for Europe/AfME and Head of Global Commercial Trade for GEP. Throughout these various assignments, he demonstrated leadership, passion, vision and creativity, and maintained a steady focus on delivering both business results and customer value. Pierre-Yves holds a Bachelor of Science in physiology and a Masters of Business Administration degree from Université de Montréal. He began his career as a sales representative and moved to sales management with Merck. Paulien has been with the PHOENIX group since 2002, working as a managing pharmacist and heading up the Pharmacy Services & Development department. Following on from completion of her pharmaceutical education, Paulien received an international MBA in 2010. 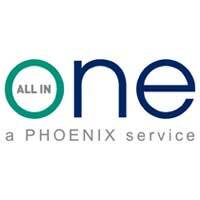 She joined the PHOENIX group in her current role in 2013 and is responsible for developing and implementing new Patient Services initiatives across Europe.